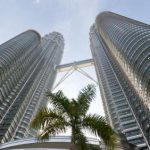 The capital of Malaysia Kuala Lumpur is the home of 1,6 million people with more than 6,9 million people in greater Kuala Lumpur, which is also called Klang Valley. The city is a friendly melting pot of nationalities, religions and cultures and well worth a visit. Read on to get some tips, no matter if you are a seasoned visitor or not. Most visitors come by air and there are 2 airports in Kuala Lumpur: Sepang which is also known as Kuala Lumpur International Airport or in short KLIA and Subang which is the old international airport which is mostly used for domestic and regional flights. If you are arriving and KLIA and changing airports, you should allow plenty of time for the traffic in Kuala Lumpur can be a killer. Check the minimum connecting time and allow some extra time. 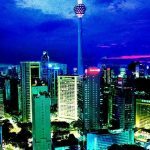 Taxi or private transfer from the airport to the city centre is very affordable, as all transportation in Kuala Lumpur. Don’t jump into the first cab you can find outside the terminal, because you are likely to overpay. Buy a ticket in the arrivals hall at a flat rate. As a rule of thumb, as in all other parts of the world, always ride a cab with the meter on. If you prefer taking the train, KLIA Ekspres will transport you to KL Sentral in only 28 minutes, the quickest way to get to the city centre. The trains run every 15 min in peak hours and every 20 min during off-peak hours. If you are leaving KL with Malaysia Airlines, Royal Brunei, Cathay Pacific, Emirates or Etihad you can check in at KL Sentral. If you need tickets with Malaysia Airlines they can be purchased at the Malaysia Airlines ticket office at KL Sentral. Where to Stay in Kuala Lumpur. The city has lots and lots of hotels and they are very affordable. You can stay 5-star in Kuala Lumpur for European moderate prices. Personally I would stay away from the cheapest ones because I see no reason for penny-pinching when you can get good hotels at good rates. If you are looking for a good 3-star hotel on perfect location in the city centre, my recommendation is Istana Hotel on 73 Jalan Raja Chulan only a 10 min walk from KLCC and the famous Petronas Towers. Istana offers rooms with connecting doors for families. 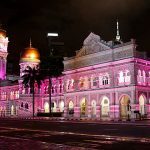 If you are looking for a good 5-star hotel you should consider the Ritz Carlton Kuala Lumpur which is only a few minutes walk from Istana Hotel (mentioned above) which means this also is located excellently. If you are looking for something smaller and a little different, I do recommend Villa Samadhi who offers villas with private Jacuzzi or plunge pool in a cozy, relaxed environment. The Majestic re-opened a few years ago and is declared a national heritage site. The hotel was built in 1932 was an important place to see and be seen in during the years leading to the 2nd World War. Nowadays it is a part of Leading Hotels of the Worlds iconic heritage hotels together with The Ritz London, The Pierre in New York City, Hotel le Bristol in Paris, and Villa d’Este in Lake Como, Italy. Owned by the same company who owns JW Marriott and Ritz Carlton in Kuala Lumpur and the Majestic in Malacca. 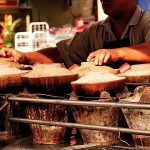 Where to Eat and Drink in Kuala Lumpur. One of the questions I usually get as a travel agent is “how about drinks in a muslim country like Malaysia”. No need to worry, Malaysia is a melting pot of religions living peacefully and happily side by side. As long as you don’t visit state-owned restaurants or typical halal restaurants you will be able to drink what you like. There is an abundance of different type of food and restaurants so I would be very surprised if you don’t find anything to your liking. If you want a traditional, well-cooked authentic Malaysian meal in a casual and cozy atmosphere you should visit Bijan Bar & Restaurant which is on walking distance from both Istana and Ritz Carlton. In between Ritz Carlton and JW Marriott you have a food court with nine different restaurants. If you say food court to me I don’t even lift an eyelid, but this food court is definitely worth a visit. You will find really good restaurants in an exclusive galleria which is also good for shopping. It sometimes feels a little ridiculous to travel across continents to experience fusion cuisine but Cilantro is worth the trip. Here you will enjoy French-Japanese cuisine in a trendy setting. If you want to drink and dance the night away I would like to recommend Zouk Club with 7 different rooms and therefore experiences. The concept is very similar to Zouk Club in Singapore (which appears to be closing) but I have not been able to confirm if it is. 7ateNine Bar at the Ascot Hotel is a great place for a drink, hang out and watch people. Another favourite bar is the Skybar at Traders Hotel with stunning views of the Petronas Towers. 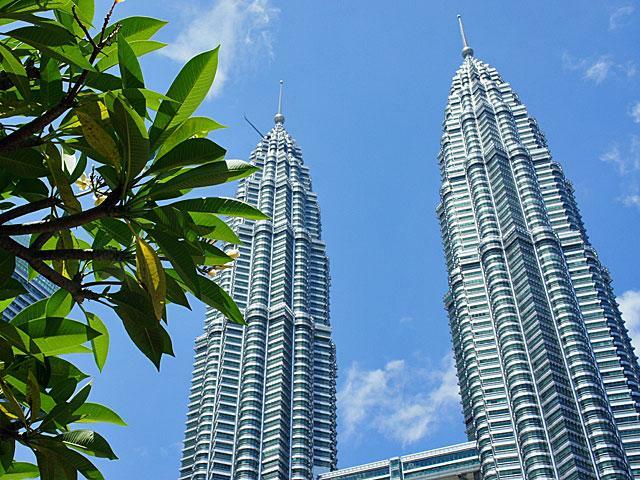 What to See and Do in Kuala Lumpur. 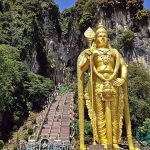 Batu Caves is located about 11 km north of Kuala Lumpur and is considered as one of the most important hindu shrines outside of India. The temple is about 100 years old and situated in a llime stone cave system. 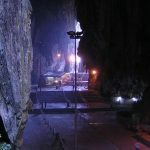 Batu Caves just north of Kuala Lumpur. Yes, both Petronas Towers and Menara Tower are tourist traps but nice onces. To fully grasp this metropolis you will want to see it from above and both towers are good opportunities. KL Tower, aka Menara Tower, in Kuala Lumpur. An article about KL without mentioning shopping would be useless. This is shopping heaven where you can get almost anything. My favourites are either the night market in China Town where you negotiate about almost everything or Pavilion KL which was voted best shopping galleria in South East Asia a few years ago. Don’t forget to apply for their “tourist reward card” to enjoy additional discounts and privileges. 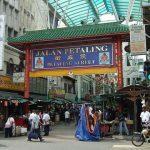 The entrance to Jalan Petaling in China Town, Kuala Lumpur, Malaysia. Food hawker in China Town, Kuala Lumpur, Malaysia. 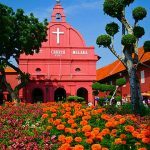 Malacca is on the west coast and probably most famous for its colonial buildings and “Harmony Street” where temples and mosques of 3 religions are located peacefully side by side. Dutch Swaure in Malacca, Malaysia. I agree that it sounds awkward to go and look at a train station but the one in KL looks like something is taken out of “1000 and a night”. This is not a full day excursion and can easily be combined with the National Museum and Independence Monument. Railway station in Kuala Lumpur at day. The railway station in Kuala Lumpur is very specacular and different. 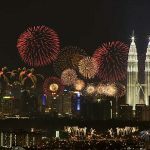 Kuala Lumpur is a great stop over and can easily be combined with almost any destination South East Asia or Down Under. 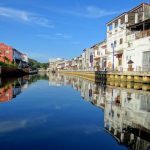 If you want pristine beaches, crystal clear waters and stunning views both under and above sea level you should take a look at the islands on Malaysia’s east coast or Langkawi on the west coast. Another great combination is Bali. Please do not forget that 2014 is “visit Malaysia year” and Malaysia Tourism Boards website is loaded with tips. 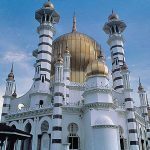 This is just an introduction to Kuala Lumpur and there is much more to explore and experience! Well I hope the introduction to Kuala Lumpur above is helpful. Please note that this vast and great city offers so much more. 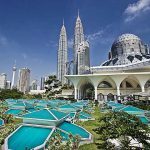 Please share your own favourites in Kuala Lumpur on Twitter, on Facebook or in the comments below. I am looking forward to hear from you!